T.M. Glass, Alium in an Ancient American Tripod Vessel, from the Museum series, 2017. Vessel photographed with permission at the Gardiner Museum, Toronto. Courtesy of the artist. T.M. Glass, Hydrangeas, 2018. Courtesy of the artist. T.M. 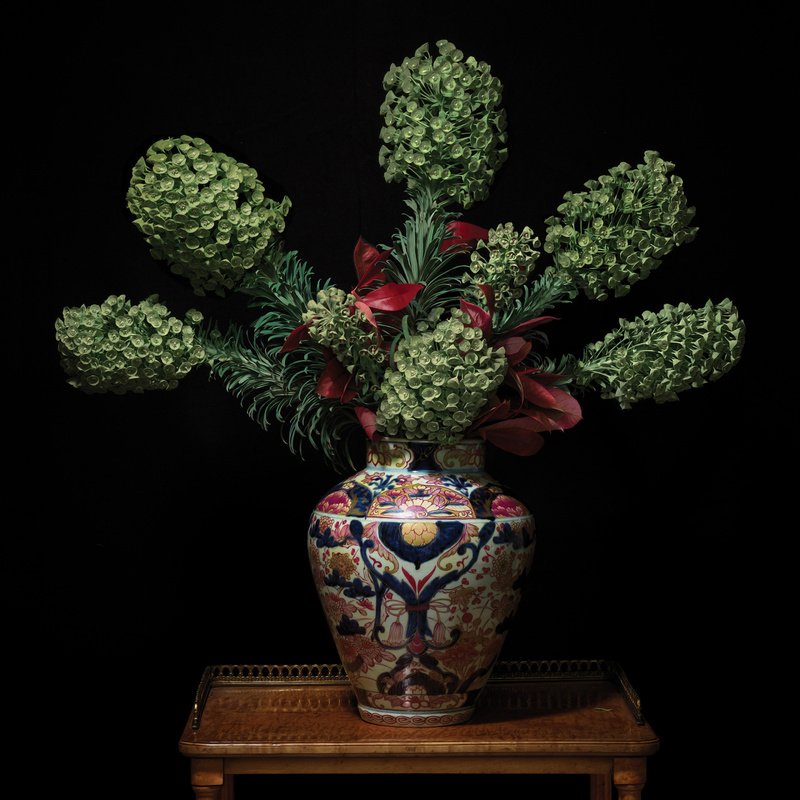 Glass, Euphorbia in a Japanese Imari Vessel, from the Royal Lodge series, 2018. Courtesy of the artist. The Audible Language of Flowers presents 30 lush images created through innovations in digital technologies. Over the past several years, Toronto-based artist T.M. Glass has developed a signature style of image-making to create striking large-scale photographs and sculptures of flowers in vessels. 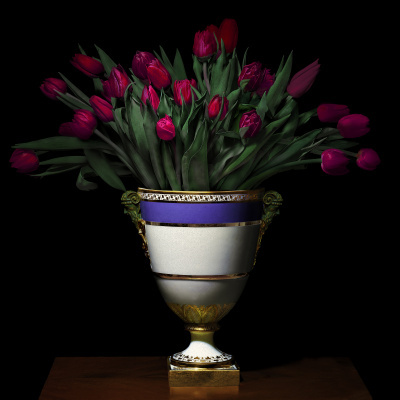 Dramatically lit and set against black backgrounds in square compositions, Glass’ photographic arrangements pay homage to 17th-century flower paintings from northern Europe and reference art historical techniques such as chiaroscuro. Fusing historical aesthetics with current digital technologies, the artist’s hyper-real, vivid tableaux oscillate between the past and the present. Painstakingly pushing the limits of digital manipulation to maximize colour, texture, shape, light, shade, and space, each series advances Glass’ ongoing project to capture what the artist sees and feels when photographing flowers. 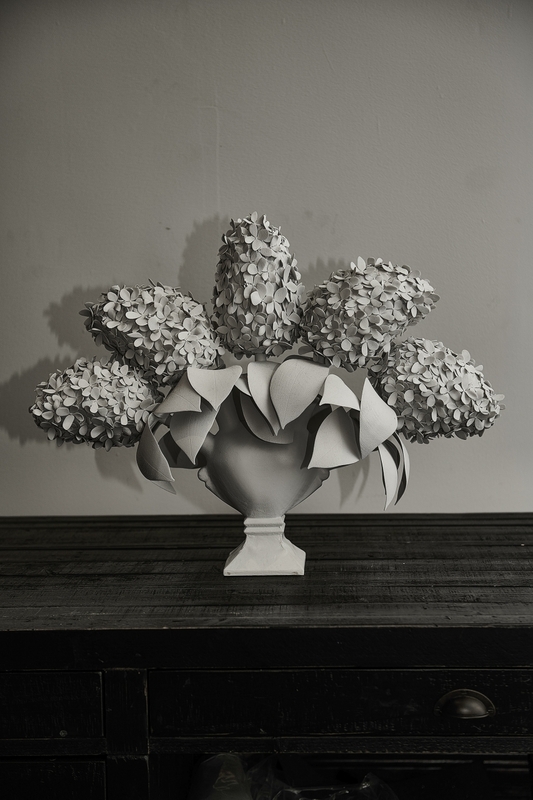 This exhibition includes works from each of Glass’ floral series, beginning with The Artist’s Garden Series (2017 – 18), which uses photographs of flowers from the artist’s Arts and Crafts-style garden. Glass combines spring, summer, and fall blooms that could not coexist in real life, and digitally inserts the arrangements into the artist’s own collection of vases. 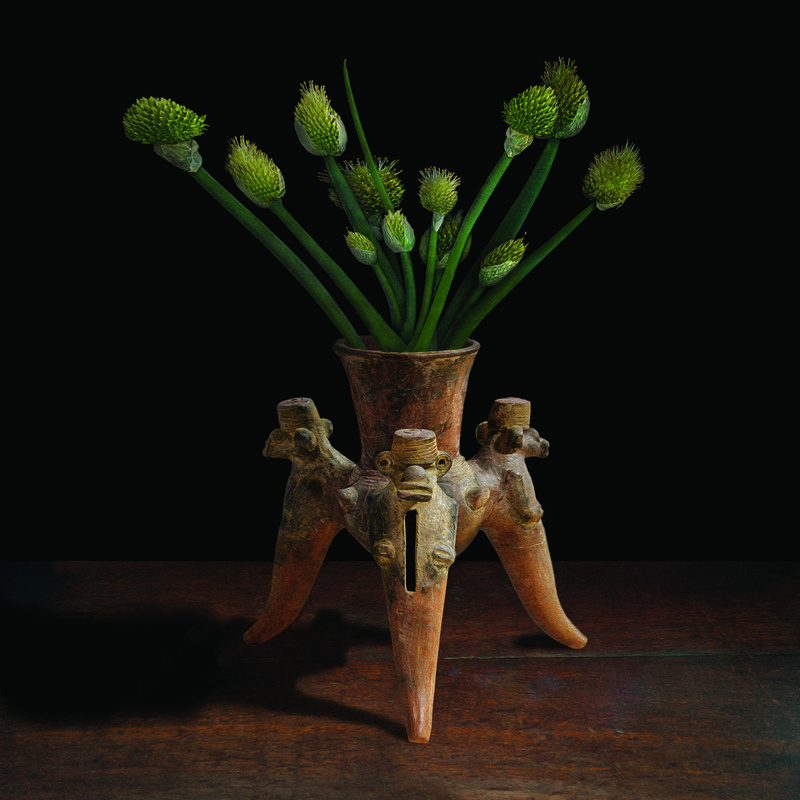 The Museum Series (2017 – 18) incorporates historically significant vessels from the Gardiner and Royal Ontario museums in Toronto, such as an ancient Central American effigy vessel or a 17th-century Persian bottle, which are digitally “filled” with flowers from the artist’s garden, as the museums did not permit the insertion of flowers into these rare vessels. Following these series, Glass began working with gardens of national and international significance. At the invitation of the Duchess of York, the artist undertook a project in England at Windsor’s Royal Lodge. The Royal Lodge Series (2018) uses flowers from the Spring Garden, designed by the Queen Mother, which blooms for only two weeks each spring. The seasonal flowers were physically arranged in historical vessels from the Royal Lodge Collection. Glass photographed The India Series (2018 – 19) at the City Palace and Museum in Jaipur, and Delhi’s presidential palace, among other locales. Using typical local ceramic containers and blooms, the series explores how, in India, flowers have deep symbolic meanings and are present at every important occasion. The Jardin de Métis Series (2018) was photographed at a renowned public garden in Quebec. Using vessels from the Jardin’s museum, the artist inserts arrangements from the wilder foliage that comes from this hardy garden. The Sculpture Series (2017) pushes the boundaries of 3D scanning and printing, which the artist regards as extensions of photography, to create all-white sculptures of flowers in Glass’ vases. Presenting a stark contrast to the profusely vibrant photographic images, Glass foregrounds the highly constructed and fragile nature of a deceptively simple subject. This and other dualities are always at play in Glass’ work, from the tension created between the digital images’ high-definition photorealism and their painterly impressionism, to the tragically short life of a fragile individual bloom nestled within a centuries-old, seemingly eternal artifact, to the eloquent contrast of textures and geometries of flower and vessel.